My primary interests on this site are consciousness, nature, philosophy, the arts, and poetry in particular. Recently, poetry has been taking a backseat to other concerns; but poetry has a way of constantly asserting itself into my consciousness–of whatever that may consist (see previous posts for wrestling with that concept). I have been reading poetry but not writing about it much and not composing at a productive clip, though I am not feeling “writer’s block.” I have, instead, allowed other events in my life to take over space formerly reserved for writing poems. This is neither bad nor good–it is just the state of affairs at present. Recently, a discussion with a friend brought up an aspect of poetry-writing that I have not spent much time thinking about; and the reason I haven’t is probably because I was warned away from the practice long ago when I first began to write verse. The practice is “explaining the poem.” Of course, in theory the poem should do its own explaining, and if it requires too much prose telling, then it ought to be fiction or memoir or history or something other than a poem. That’s what my mentors and teachers imparted to me about poetry (all hail received wisdom! ), and I do not disagree with this tenet–but having taught classes that introduce people to poetry, let me add a few cautions and qualifiers. See, there’s explaining, and there’s explaining. One version of explaining the poem is to tell what inspired you, how you started to write it, what you were aiming for in terms of purpose, what you intended to “do” in the poem, and what each of the references means as relates to your life, the nation, culture, religion, or a love affair. If that is what the poet does before reading the poem aloud or presenting it upon the page, then the poet is doing all of the poem’s work for it. Too much information. If the audience does not understand or appreciate the poem without this sort of explanation, then you have either a failed poem or a failed audience. Then there are forms of interpretation and analysis by critics, reviewers, or fans; these texts or discussions can be immensely interesting and fruitful but do not involve the poet him or herself, so they do not really qualify as “explanations.” This process is what we try to teach students to do in university literary analysis coursework. Sometimes we encounter lackluster or lazy audiences in the classroom: people who want the professor or the textbook to do all the work of understanding poems for them. Poems are complex, like polymer molecules or neurological wiring. Not easy to explain. But there are explanations of a kind that can be valuable, even if they are fa r from necessary when one encounters a really terrific poem. There are reasons to learn the backstory of a poem, if such a thing exists for that particular poem (not all poems have one). Anyway, it may be worth asking the poet about it, if she is still living and can answer or if the answer may be deduced from archival materials. We have learned the backstories of a few Elizabeth Bishop poems, just taking one well-known poet as an example (see Words in Air); the stories–in this case, letters–do not necessarily help readers interpret a poem or even understand it any better, but the stories remind us that the poem was initially embodied in the brain of another human being who was undergoing and observing experiences–or leaping into realms of imagination. More about why that’s a good thing, and more about the embodiment of the human brain, in later posts. When I instruct freshman college classes in essay-writing, it’s clear to me that few students (usually around 18 years old) have any understanding of what it means to be “rational.” They often believe they are rational thinkers because they are good at math or interested in a scientific discipline or eager to study law, medicine, or economics–all factual and rational pursuits, in their minds, though they tend to think based on gut instinct and social upbringing. I have spent considerable time pondering this reality, which affects my pedagogical approach. In the presidential election cycle years the situation seems especially obvious…and problematic. I wonder how much of the gut/emotion-responses’ validation, retroactively, by “rational thinking” evolves from psychology or human nature, and how much from culture. Culture is due to connectedness influences: we want to be identified as part of, or differentiated from, the community of human beings around us. Psychology overlaps with culture; I may be a bit out-of-date, but it seems that the study of psychology tends a little more toward the individual’s nature, even accounting for the “nurture” aspect of individuality, which is culture-based. And people who are US citizens have by and large been raised in a capitalist culture, a form of capitalism spurred to dazzling speed and pushed into far-reaching areas of culture/nurture by our for-profit media system. The resulting culture flowered into persuasion-based, desire-based “needs.” My students and I are acculturated into seeing and judging, seeing and desiring, and confusing want with need. That approach works for businesses that need to make a profit; they have to make their audiences yearn for products. Gut-based persuasion works better than rational persuasion; ask any marketing campaign designer. Connecting one person’s “need” with the community’s perceived “need” also works. These urges are not rational approaches to purchasing, budgeting, prioritizing, or voting. If, however, one’s job is to analyze buying trends, examination of the efficacy of such approaches is rational indeed. Thus analysis, any form of analysis, should be scientific and rational and based upon a genuine understanding of human beings–our natures, our connections, our influences. Call it interdisciplinary, or synergistic. How can analysts learn about the gut instincts and unreliability and cultural natures of their fellow humans? An excellent way is through studying the arts. Of course, I would end up here. Sciences, if we consider them rational pursuits not entirely independent of one another–granted, that is another conversation–likewise should not be independent of the arts and humanities. The visual and kinetic arts produce sensations that feel emotional yet which can be critically analyzed, rationally pursued and discussed. Novels inform readers of the vagaries and irrational motivations of the human heart; they tell us about character and culture and urgency. 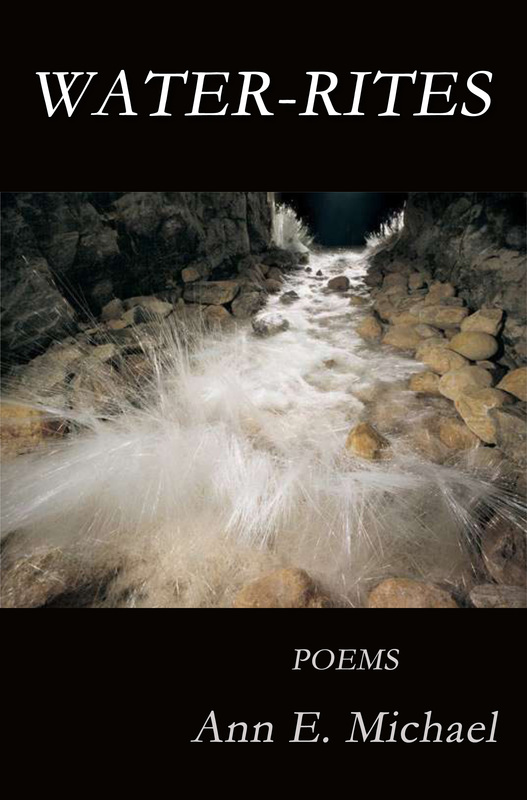 Poems tell us, in ways that science never has been able to elucidate, what feels most true. (See Fiona Sampson’s article in The New Humanist, though I admit she provides a biased view, as she is editor of that journal). This semester, my students and I will be examining what it means to be rational in an academic argument. Perhaps we will go further than that, but I do not expect to change their hearts. A group of friends gathers once a month to read and share and critique one another’s poems. They know one another well enough that they can be empathic, honest, and helpful; also, they are trusting enough to bring poems that really aren’t “working.” The critique’s the best way to get some understanding of why a poem is not working. Recently, one member shared a poem that was somewhat philosophical in its overtones. The rhetoric of the poem was shifting, getting away from her, and she knew it. But she couldn’t figure out why, or how to correct the problem. The talk moved away from critique and into values–for awhile. So the group was no longer exactly discussing the poem, or poetry, at all. And yet, through the conversation, the writer recognized where at least part of the poem’s problem lay…which was in image and in structure (as illuminated, perhaps, by value and by rhetoric). Reason can lead to beauty. It’s end-of-semester time when I meet with students to coach them through revisions of their final papers. A fair number of those assignments are literary analysis papers, and the students I tutor tend to view these essays with dread stemming from confusion. I have learned a few methods of deconstructing and demystifying the literary analysis, but I understand these students’ frustrations. I felt them myself many years ago, as I learned literary analysis the hard way, under the tutelage of a formidable and exacting professor. Actually, I had not thought much about learning literary analysis until a few days ago, when I had the chance to read some of my own early essays. In the bag of ephemera that contained my father’s essay on Martin Luther (see this post), there are also a few of my letters and college papers that my mother saved for some reason. How revealing it was to read my early forays into fiction analysis–and to see the comments my professor made on my work. Very astute, critical comments that confronted me, a naive 17-year-old who was accustomed to getting high grades on English papers, with all that I was assuming, leaving out, or asserting with faulty logic or lack of evidence. It’s interesting that I rose to the challenge. I was shy and easily intimidated, and very young. The reason I did not feel utterly crushed by the professor’s comments is that this was a seminar class, discussion-based, with a great deal of face-to-face conversation among teacher and students. My professor was the most assertive, self-confident, and supremely logical woman I had ever encountered; I was intrigued by her. How on earth had she gotten that way? Was she born into it? Had her family encouraged her to be so direct, forthright, critically observant? Her vocabulary was precise. Her expectations were high; yet she insisted we teenagers had ideas that we were capable of expressing verbally and on paper. Many students disliked her intensely, considered her too blunt, wounding, hypercritical. I respected her acuity and her breadth of knowledge. I didn’t want to emulate her, but I wanted to read what she had read and understand it as intently as she did. I don’t think she would mind my revealing her identity, as she’s well-known for her passionate learnedness and her controversial ideas about education. You can find her on a TEDtalk on YouTube: Liz Coleman, long-time president of Bennington College. When I was a freshman at the experimental Freshman Year Program at The New School for Social Research, she was the program dean and my Art of Fiction teacher. The title page of a much-lacking freshman attempt. She did not coach us on thesis statements or methods of breaking the analysis into chunks of ideas supported by evidence from the text. Instead, she quarreled with our assertions, asked probing questions of our thin but possibly promising claims, and confronted us with the obvious. I was astounded by this approach to education, 180 degrees different from what I had encountered in high school. After Liz made her comments on my One Flew over the Cuckoo’s Nest essay, I picked up the book and immediately read it again–something I had never done before. I had drawn parallels to the Christ narrative, a rather obvious way for a beginner to explore Kesey’s novel, but had completely failed to recognize that if you’re going to draw such parallels there comes a point where you need to recognize what the novelist does with the idea of “sacrifice”–what is gained (if anything) by it, and what purposeful and ironic twists the writer does to that narrative, and to what end(s). I was onto something when I wrote about the ‘earthly’ aspects of the characters but lost that thread in my allegorical pursuit. The communion with the juices of life! She wrote that to a 17-year-old. I’m not sure I got the full impact then, but I sure learned a great deal from her feedback both on the page and in class. And I did begin to write better, more argumentative, more logical papers. It wasn’t the simplest way to learn how to do a close read; but then, a close read of classic literature should reveal complex insights. I had to fight my way through my own assumptions and bad logic. I had to learn to read again, and at first I felt that analysis would destroy my joy of reading; but that’s only true if you are unlucky enough to have a professor who insists that the students’ interpretations align with the teacher’s opinions. Dr. Coleman has strong opinions about literature–and education, and political engagement, and many many other subjects. Yet I never felt she was pushing her interpretations onto us students; it seemed to me she was pushing me to do better work, to think more clearly, to read with more enthusiasm, with an alert mind. My engagement with literature, art, and much more owes a lot to her…I had always loved to read but had been in many ways a lazy reader. I’m pretty much cured of that now!